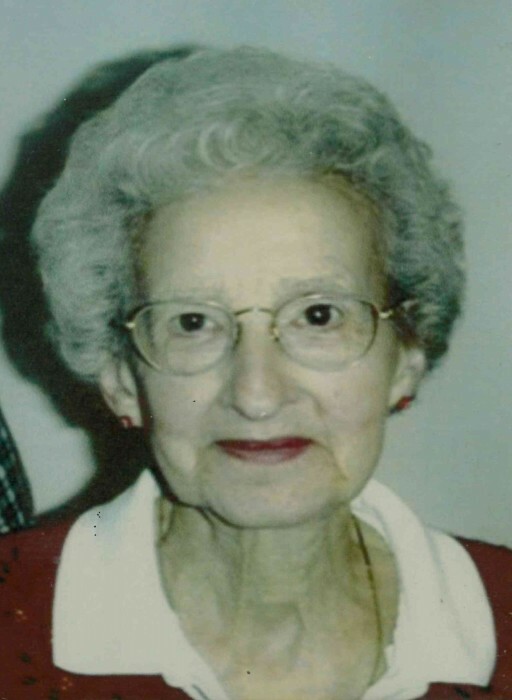 Isabel “Issy” H. Hassinger, 97, of Millmont, formerly of 350 Chestnut St., Mifflinburg, for 52 years, entered into rest at 8:10 a.m., Friday, April 12, 2019, at home. She was born May 10, 1921, in Woodward, a daughter of the late Thomas Blaine and Mae Elizabeth (Noll) Hosterman. On October 11, 1942, in Lancaster, she married Owen Elwood “Hassy” Hassinger, who preceded her in death May 12, 2003. Isabel was a graduate of East Penns Valley High School, Millheim. She was a member of the St. John’s United Church of Christ, Mifflinburg, where she was active in many church activities including visiting shut-ins and volunteering at the food bank. Isabel worked as a clerk with her husband at O.R. Laney’s Store, Mifflinburg, for 48 years, and at Mary Koons Store, Mifflinburg, for 12 years. She was a volunteer at Evangelical Community Hospital, Lewisburg, for 11 years. Surviving are a sister-in-law, Barbara Hosterman of Jersey Shore; three nephews, Lester N. Hosterman, Jr. and his wife Ruth of Watsontown, Thomas Hosterman and his wife Wendy of Millmont, Barry Hosterman and his companion Kathy Zechman of Millmont; and one niece, Mae Hosterman of Millmont. She was preceded in death by siblings, Rosalyn Hosterman, Lester N. Hosterman, Sr., Geraldine T. Hosterman, Russell B. Hosterman, and B. Ardell Hosterman. Family and friends are welcome to a time of visitation from 9 to 11 a.m., Tuesday, at the St. John’s United Church of Christ, 417 Market St., Mifflinburg, where the funeral will be conducted at 11, with Rev. Ted Justice, officiating. Burial will be in the Mifflinburg Cemetery. Memorial gifts may be made to either St. John’s United Church of Christ, 417 Market St., Mifflinburg, PA 17844, or Hospice of Evangelical, 235 Hospital Dr, Lewisburg, PA 17837. Arrangements are by Roupp Funeral Home Inc., 8594 Old Turnpike Rd., Mifflinburg.